Born in Louisville, Kentucky and raised in Suwanee, Georgia, Trey is a senior at Georgia State University. 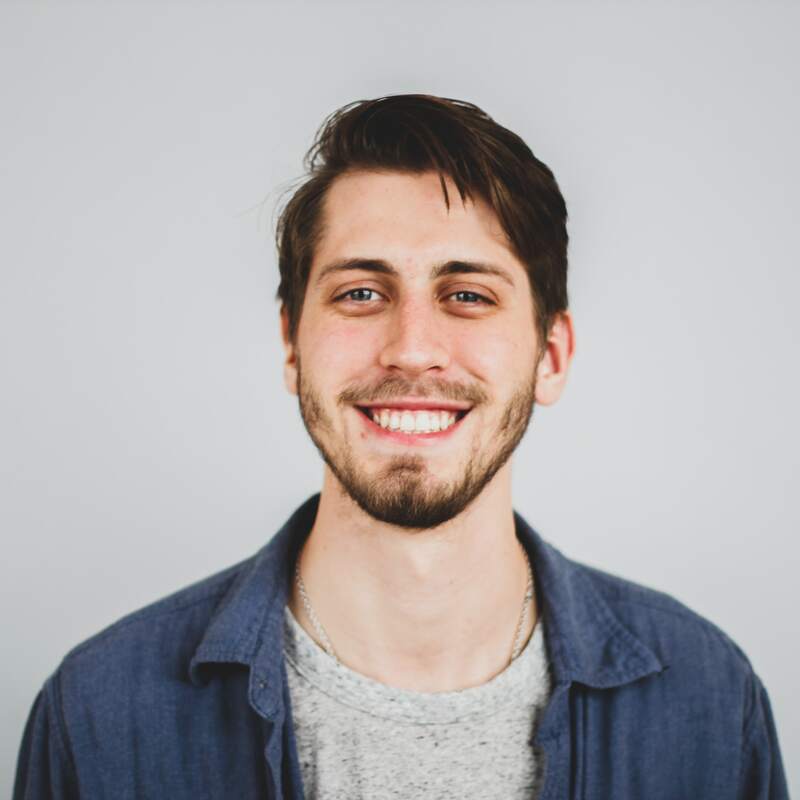 With a passion for learning new things and international cultures, Trey will receive a degree in Global Studies with a concentration in peace building in the Middle East and minors in Arabic and Non-Profit Management upon graduating in May 2019. When he’s not in the classroom or working part-time as a Roam Hospitality Assistant, Trey enjoys Fantasy Football, playing the piano, trying weird, new foods and keeping up with his favorite soccer team, Leicester City FC. There are a lot of part-time job opportunities out there, why Roam? Before working at Roam, I worked in the restaurant scene for a short time as a waiter. I hated it. Late nights, exhausting shifts and coworkers that didn’t care. After about a semester of this, I decided enough was enough and was on the look for another job. My friend Christal posted on Facebook about an opening at Roam Galleria and after some research Roam seemed like it could be a great fit for what I was looking for. After working at Roam for only two weeks, I fell in love with this organization. The team cares about me as an individual, cares about the people coming through the door and wants to change the way the world does business. After coming from a job that desperately needed these changes, I was sold on Roam and our beliefs as a company. How have you grown and developed as a leader during your time at Roam? Roam has helped me grow tremendously by giving me responsibility and opportunities to step up and take initiative. After about six months of working at Roam, I noticed a huge difference in the way I embodied hospitality and served guests. Roam sets the standard high for how to value others, and this standard pushes me to be more confident in who I am as a man and how I interact with others. Roam has shown me how to be confident in my abilities by encouraging me, supporting me and believing I have the ability to lead and take initiative. What is the most meaningful part of your role as a Hospitality Assistant? The most meaningful part of my role as a Hospitality Assistant is that I have the opportunity to serve others. I can make people feel loved, appreciated and encouraged through serving them. What do you think it takes to be a successful Hospitality Assistant at Roam? To be a successful Hospitality Assistant it takes a person who is willing to humble themselves at times and do the work that others usually do not want to do. If you can lift a burden off of a member, guest or another Roam employee, then you do it. Taking this initiative gives life to your team and makes the people who come through Roam’s doors feel confident and comfortable to host their meeting here. The guests that come back to Roam are the ones that know our team will take care of them and help to relieve the stress associated with planning and executing a meeting. We’re on a mission to renew and inspire the way the world does business. How has Roam shaped your view of work? I didn’t know that the place I work could have an environment quite the way Roam does. Roam changed my view on business completely. I always told my parents that I did not want to work in the business world. Even though that was naive of me as a child, Roam changed my mentality. I can make a difference and show love to people even through work. Roam showed me that work can be fun, enjoyable and rewarding. It doesn’t always matter what task you’re doing to make a difference; it’s how you treat people that makes a difference. An ideal Saturday includes watching soccer or football—or both honestly—with loved ones or being outside enjoying the beautiful fall weather. If you could open a Roam, anywhere in the world, where would it be? If I could open a Roam anywhere in the world it would probably be somewhere in Greece. Greece is a country I dream to visit. It is so beautiful and to have a Roam where you could constantly sea the ocean would be incredible.